The weather in Ubud is some of the best in the world. Sure it can get a bit hot at mid-day but there is often a nice breeze and being a bit above sea level keeps the temperature somewhat in check. Ubud weather ranges from months of constant sun in the dry season to daily showers in the wet season. Temperatures in winter can drop below 20 degrees at night and will usually remain below 30 degrees in the daytime. In the hotter times of the year (any months other than the winter months) nighttime temperatures will be around 23 degrees and daytime highs between 31 and 34. There are two seasons in Ubud (and the rest of Bali), dry and wet. The dry season is generally from July to October and during this time Ubud can go weeks without a drop of rain. In the wet season one can expect a bit of rain nearly every day. One good thing about Ubud weather in the wet season is that the showers are usually brief but intense and it leaves you with clean cool air. Also, much of the heaviest rain will occur at night so it shouldn’t cause too much inconvenience. It is also worth noting that Ubud weather and that of the rest of indonesia can be strongly affected by el nino events. This can cause the wet season to start later and the dry season to be more intense. 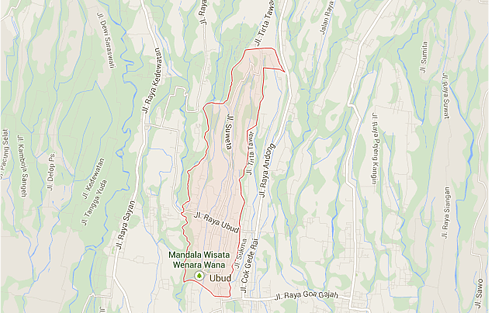 Ubudweather.com is based in Ubud. Our weather station is a Davis Vantage Pro2 Plus running on Cumulus v1.9.4 build 1098. 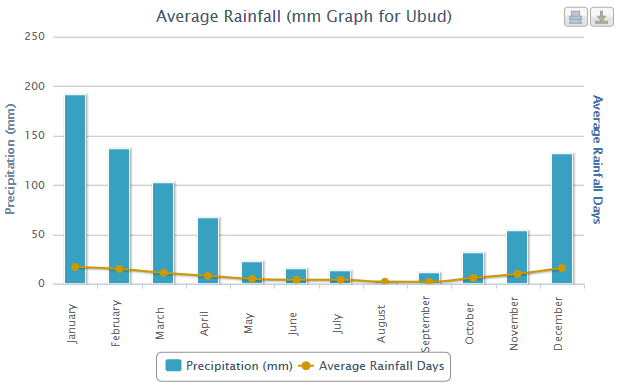 We are tracking Ubud weather in realtime and delivering the most accurate data to you. 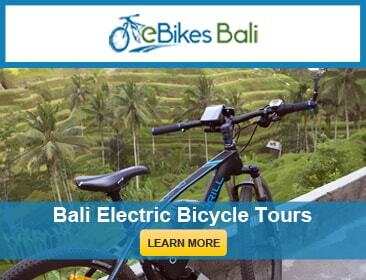 For more information about specific Ubud weather events check out our blog. Some other weather realated sites of note, Indonesian weather service and Indonesian climate info. Copyright © 2016 www.ubudweather.com. All Rights Reserved.